Now that you've finished your harness, you need the skirt that goes over top of it, and you need boots. Or, if you're cheap like me, you need spats! My skirt did not turn out how I wanted it to, therefore I'd highly recommend you find a different tutorial for that. Or try it out on your own and use mine as a guide. 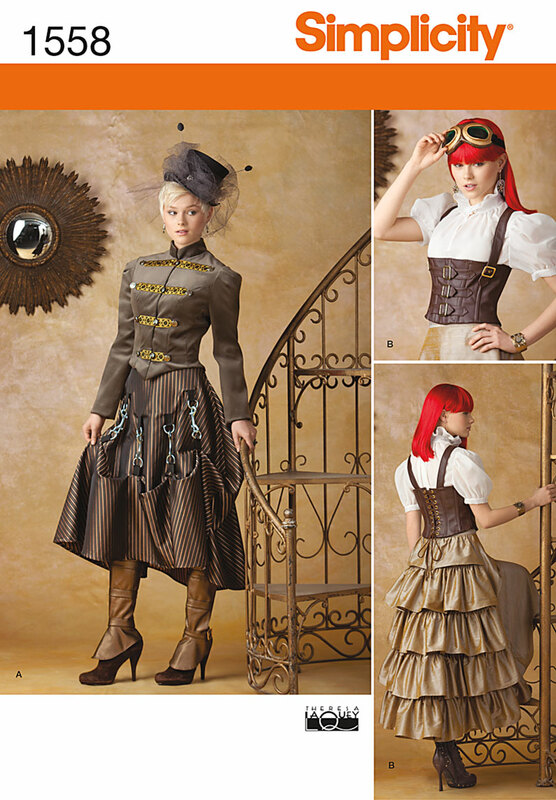 There are tons of tutorials for making your own pattern for spats, but I already had this, so why bother? Tips for using this pattern. Cut out around the pattern pieces you need, then iron the pattern. Yes, iron the pattern. Then, cut out the pieces along the lines. Next, iron your material to smooth out any wrinkles (keep the center fold, though). Pin your pattern to the fabric, and cut. If you have never used the pattern before (like me), cut your lining first and assemble. That way you can alter it however you need, then use that information for your outside fabric. Now, follow the directions (for the most part) for assembly. Make sure you check and see what seam allowance the pattern gives (generally, it's 5/8 inch). Don't forget to clip curves and press seams. Once all of your lining pieces are together, put it on your calf to see if it fits. Mine didn't (I have monster calves! ), so I took apart the side seams and changed the seam allowance from 5/8" to 1/4". That fixed my problem. Put the spat on your calf again and this time measure from the top to where you want the top to actually be. See the reference image to see how high the knee bit should be. Make sure you add seam allowances to your upper knee pattern. Mine needed to be extended 3 1/2". I used 1/2" seam allowance, which made the final height 4 1/2". Use your current spat as a reference to make your pattern. What I did was cut out the lining, then used that to make the newspaper pattern for my outside fabric. Attach knee piece to your spats lining. If you haven't already, create lining for the other boot. Then, using your pattern pieces, cut out from the main exterior fabric, and interfacing. I actually extended the sides of the main pattern pieces a little to make it a little bigger. Attach interfacing to main fabric pieces. Make sure you use a heavy duty interfacing for the knee piece so it stays up. I recommend stabilizer. Assemble your spat just like you did with the lining, remembering the things you discovered while making the lining (i.e., for me that was to use a 1/4" seam allowance, not 5/8"). Then, with right sides together, attach your lining to your main fabric at the top. Trim, and clip where necessary. Turn right side out and press. With lining up, hem the entire outer edge. 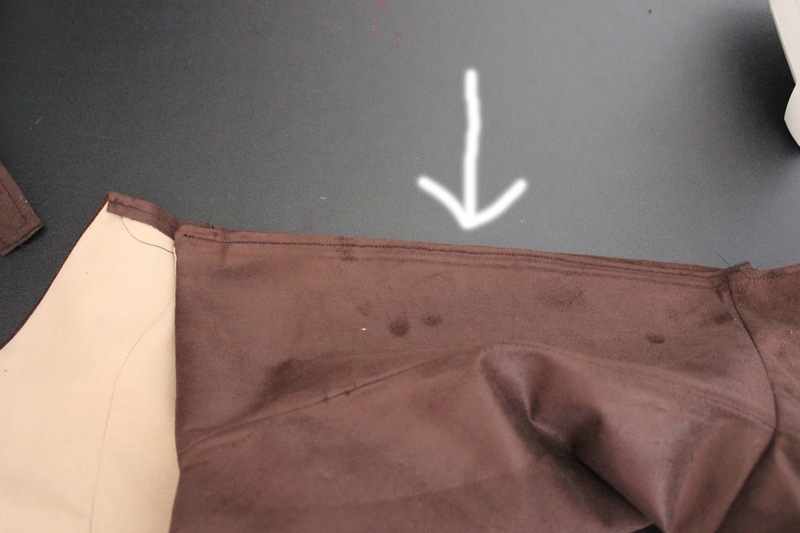 Add your zipper (use a coat zipper that disconnects at the bottom or you will have a tough time putting your spats on and taking them off). I'm not including instructions for how to do this because I'm not amazing at zippers. If you don't know how to install a zipper, google it. Obviously, buying boots will look better. But if you are unable to find any in your price range, or, like me, do so many cosplays you need to cut corners when you can, this is a pretty good alternative. Now, for the skirt. I apologize in advance for this not turning out as nicely as everything else I've done has. I really don't know what I can do to fix it, so it's going to have to be fine until I figure something out. First, put on the pants you plan to wear. Then, measure starting at one hip, around your body, past where you started, to the other hip. Make sure you are measuring where your skirt is going to sit. I did mine at my hips, and I have big ol' hips, so my measurement came to 52" (remember, there will be overlap so it will NOT equal your hip measurement, which for me is 38"). Add 2" just to make sure you have enough length. Cut out a strip approximately 4" wide X the length you measured plus 2" (for me, 54"). Fold in half lengthwise, and with wrong sides together, stitch approximately 1 1/2" from fold. Fold ends over (make sure they are facing the same way!) and stitch. Now, attach this strip to your dress form, remembering to start at one hip and end at the other. On the fold of your fabric, cut the skirt portion. Width is going to be however long you want it (mine is approximately 7") X the length from before (54"). Keep the fold with the right sides together and wrap around your dress form over the waistband portion. Now, you're going to free hand cut your fabric. It should start short at the hip, then come down longer for the sides and back. You only have to cut it part of the way on the dress form. Then, you can lie it on the floor to finish cutting it. Keeping right sides together, stitch across the bottom edge. Leave the sides open. Turn right side out and press. Flip sides in and stitch. Now, attach to your waist piece. It's going to be bulky in the back. If you know how to fix that, let me know! After you have it attached and you press the seams, you need a way for it to stay together. I used buttons cause they're super easy to install. Put it on, mark where your buttons and holes will be, then install. Now, here are some tutorials for the skirt that will probably work better. I'm actually going to use those to try and fix mine. Hopefully yours turns out better.